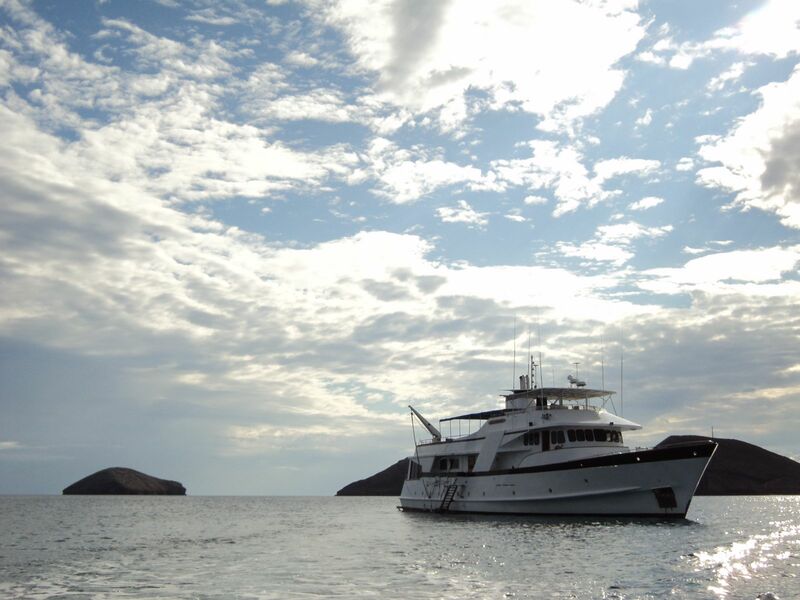 Motor yacht BELUGA is a 110' classic Feadship built in Hamburg, Germany in 1968 and refitted in 1986. 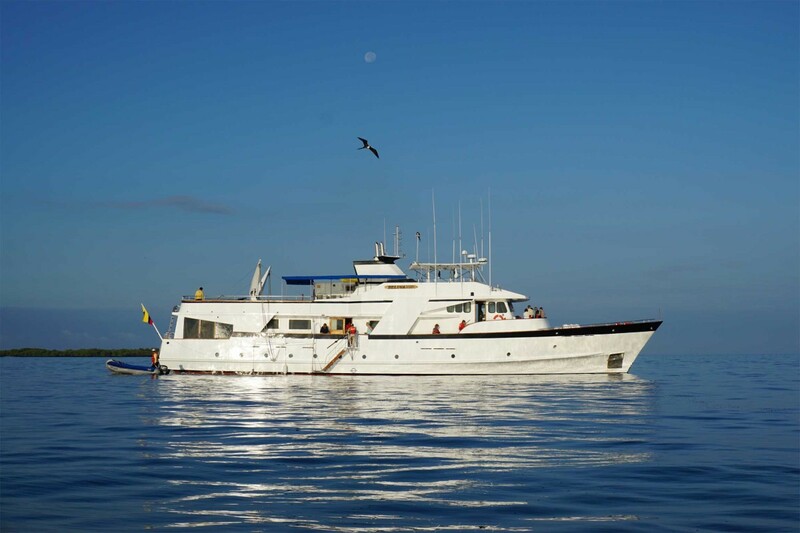 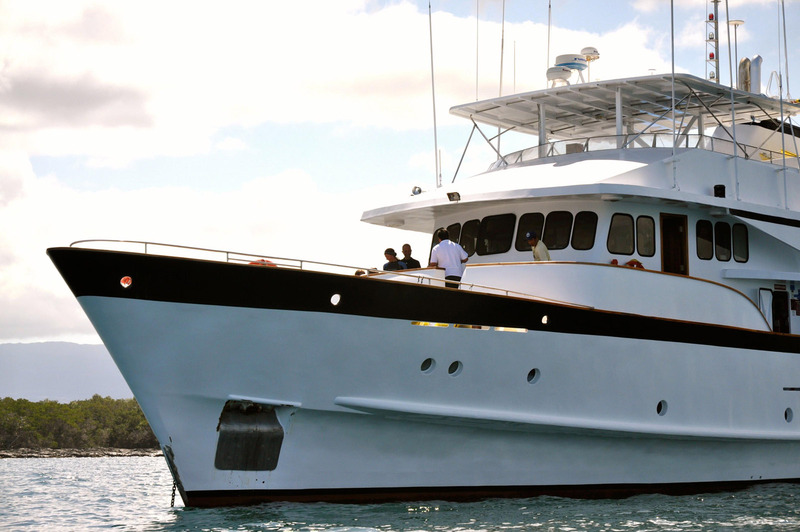 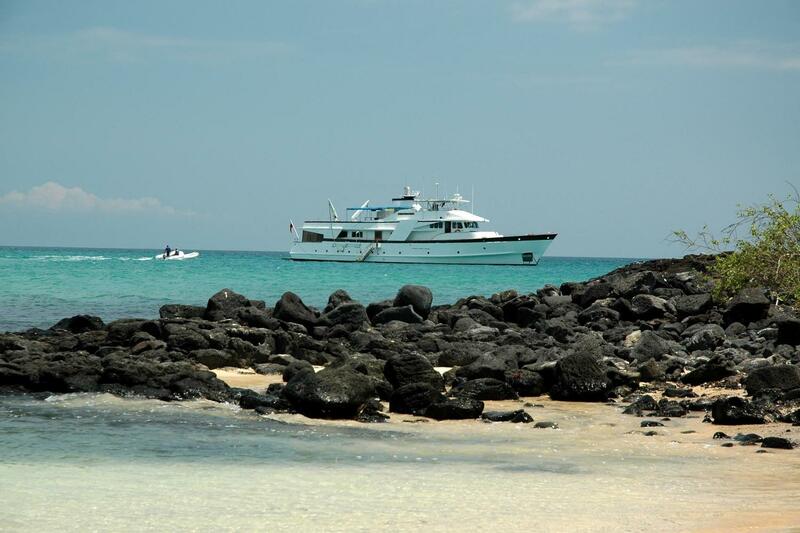 Yacht BELUGA is a 110-ft, steel-hulled motor yacht that is based in the Galapagos, available for luxury charters year round. 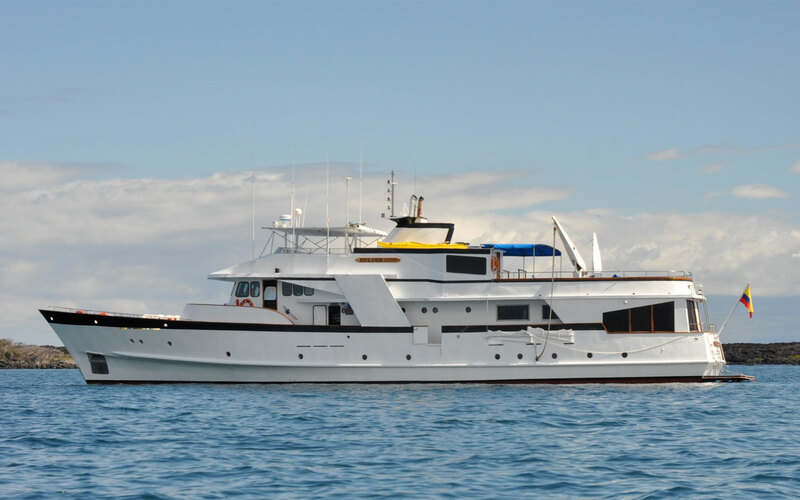 This classic yacht BELUGA is fully air-conditioned and is able to accommodate up to 16 charter guests in 8 cabins, all with private ensuite facilities. 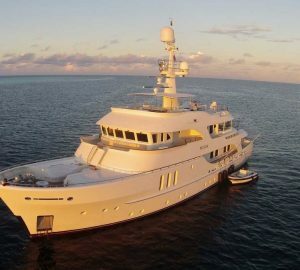 The Feadship BELUGA yacht has a large salon and dining area spacious enough for 16 guests that is also inviting for smaller groups of charter guests. 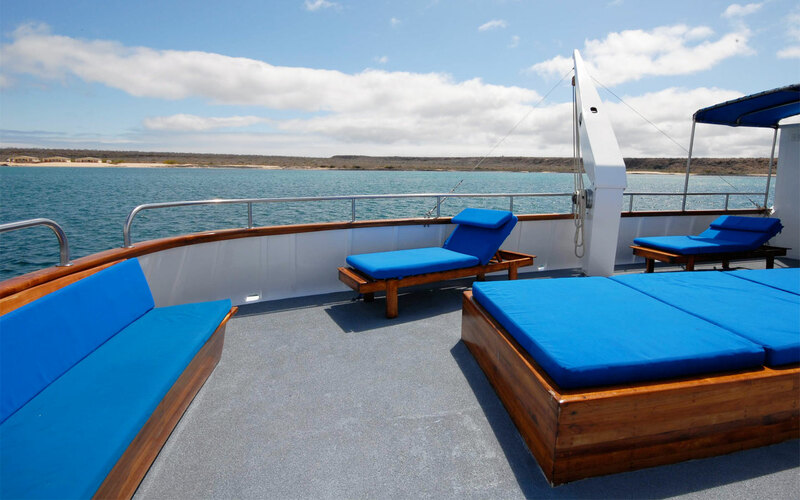 The Galapagos charter yacht BELUGA also boasts ample deck space, perfect for taking in the beautiful surroundings of the Galapagos Islands. 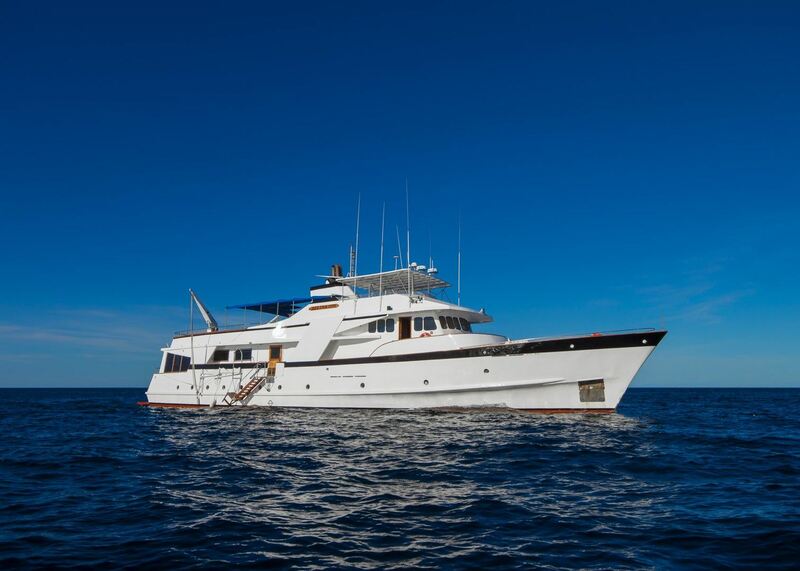 The yacht is also equipped for diving. 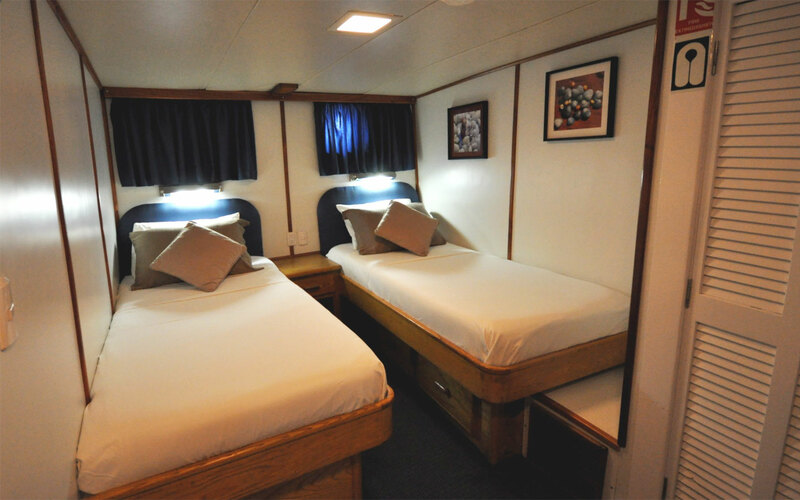 BELUGA is able to accommodate a maximum of 16 persons in 8 double cabins, all with ensuite facilities. 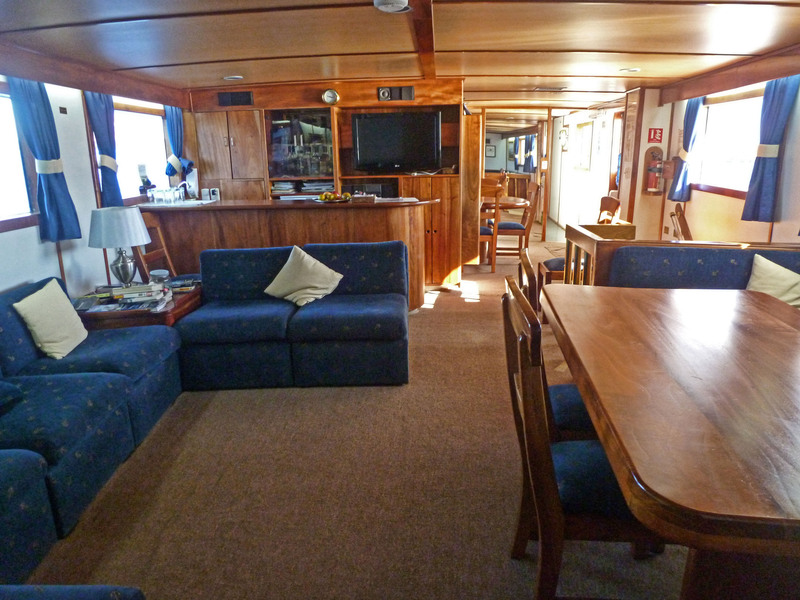 Her accommodations include 1 twin cabin, ensuite on the accommodations deck, two cabins aft on the main deck that can be configured as either twins or queens and 5 remaining cabins located on the accommodations deck. 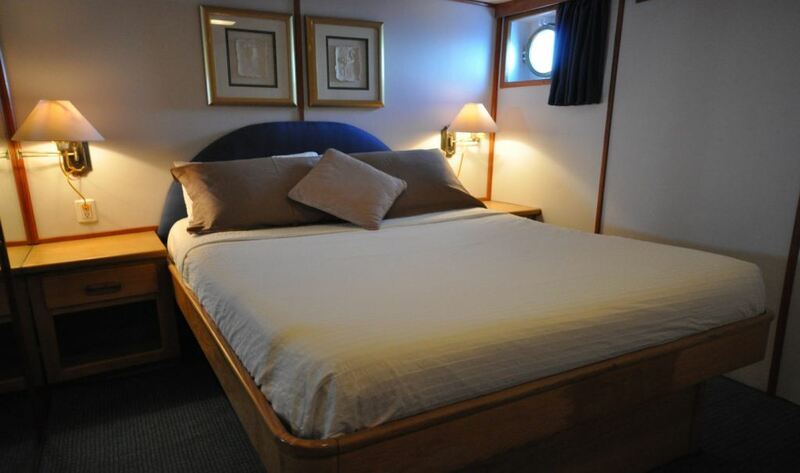 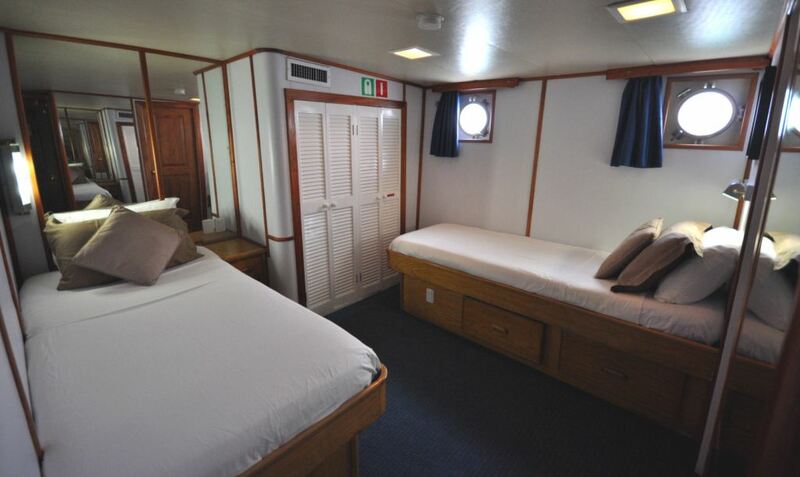 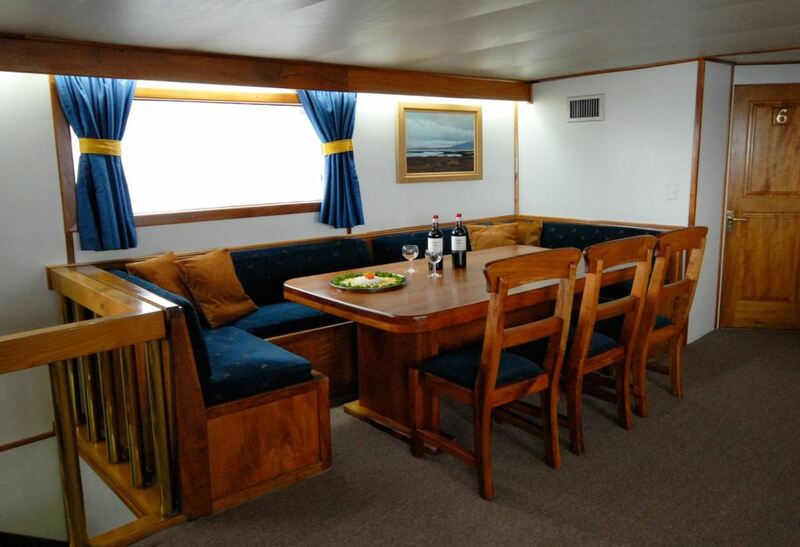 On the accommodation deck, there is a master cabin, with larger then queen bed and a VIP cabin with queen bed. 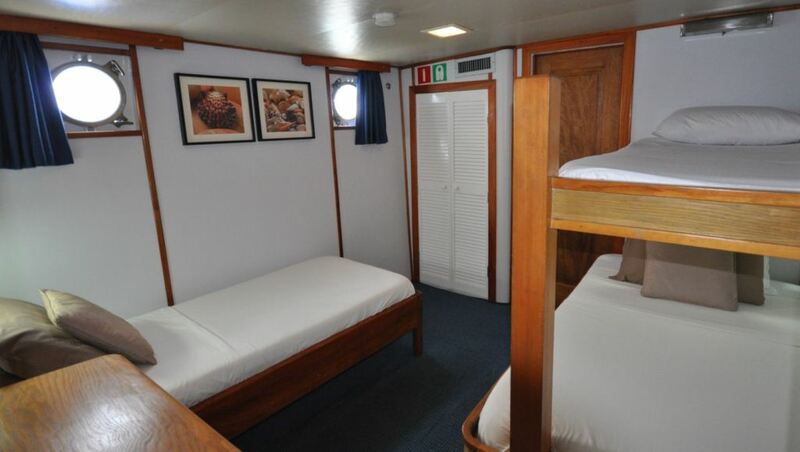 There are also 2 twin cabins and a triple cabin with 3 singles, (2 lower and 1 upper). 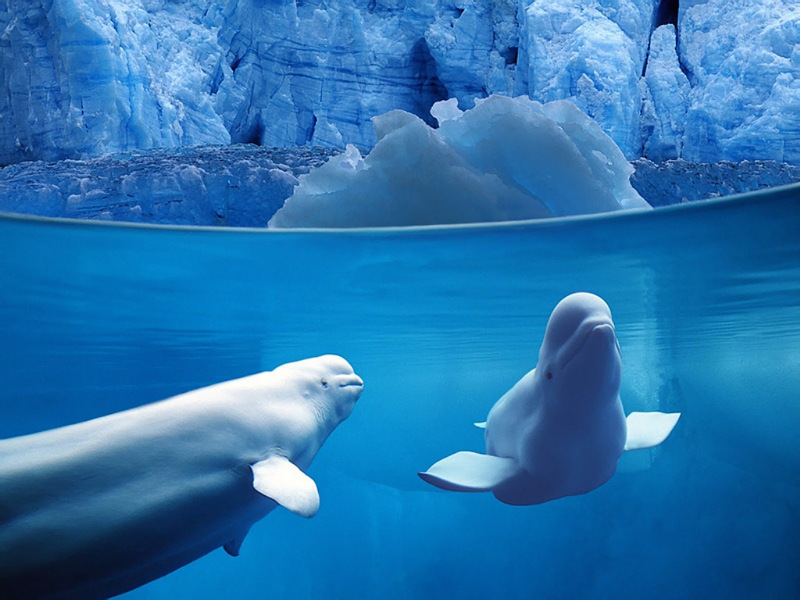 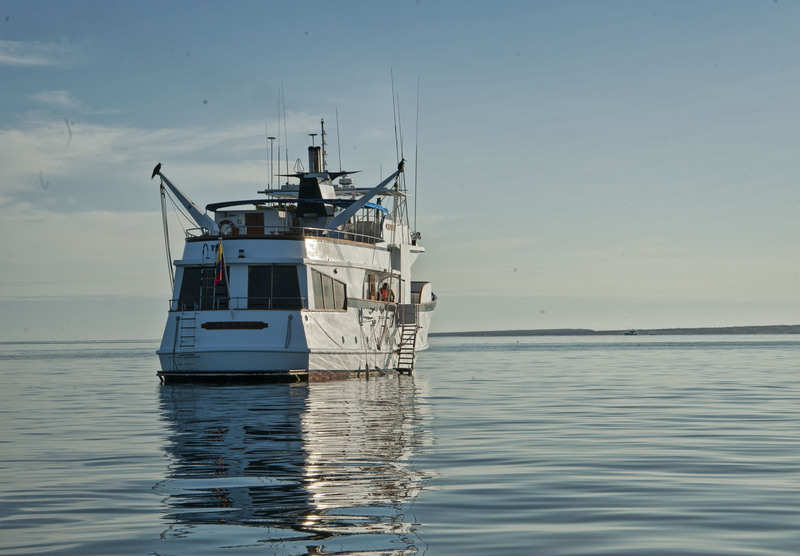 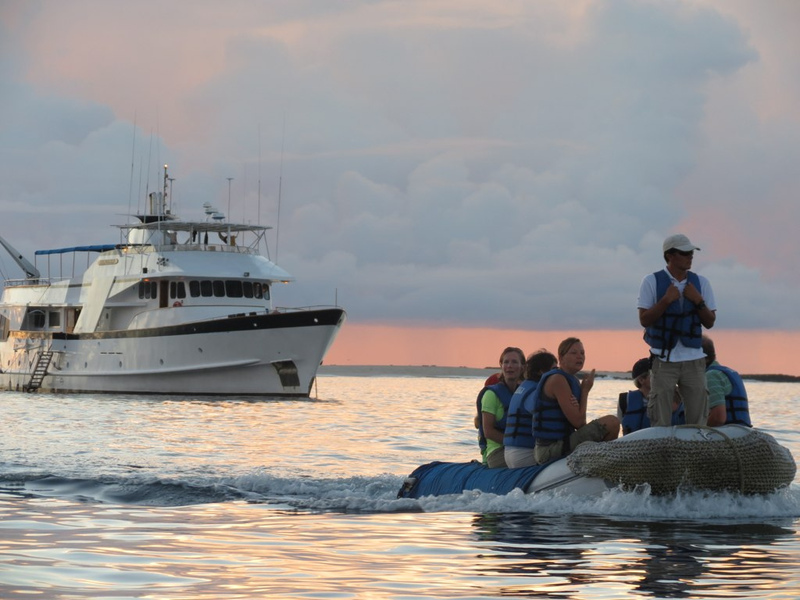 The BELUGA motor yacht is available for VIP Charter packages that include a special naturalist guide. 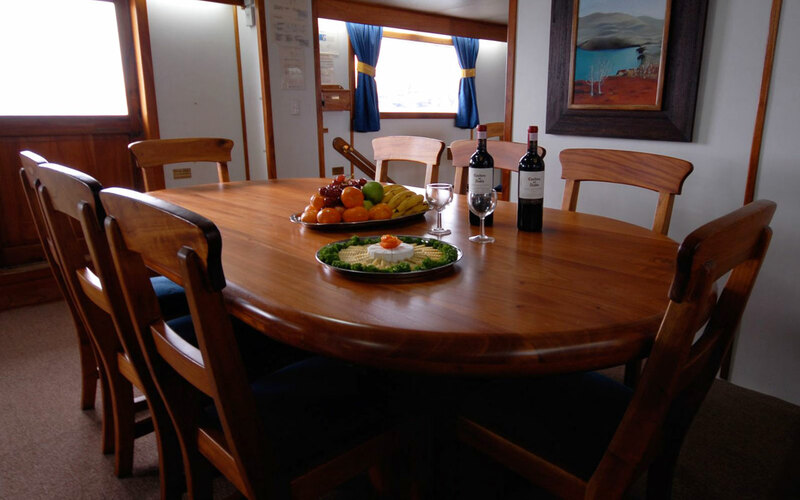 The charter rate is inclusive of the vessel, crew, expert naturalist guide, running expenses of the vessel and meals taken on board. 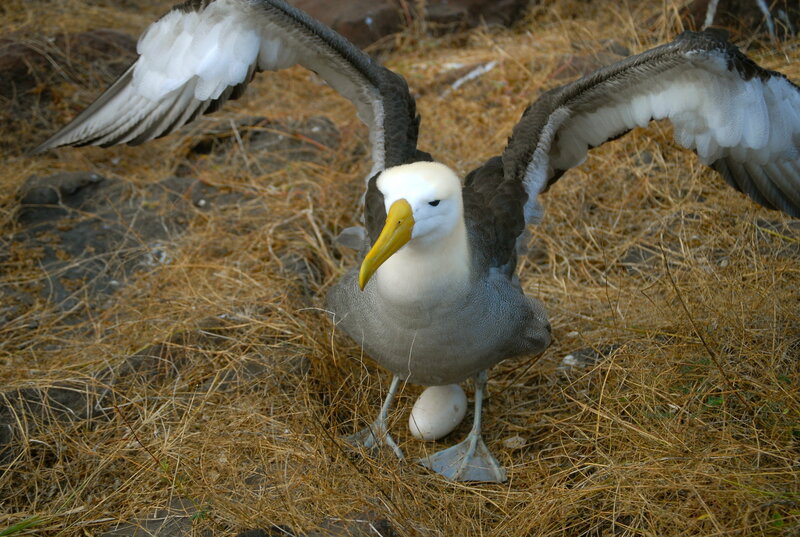 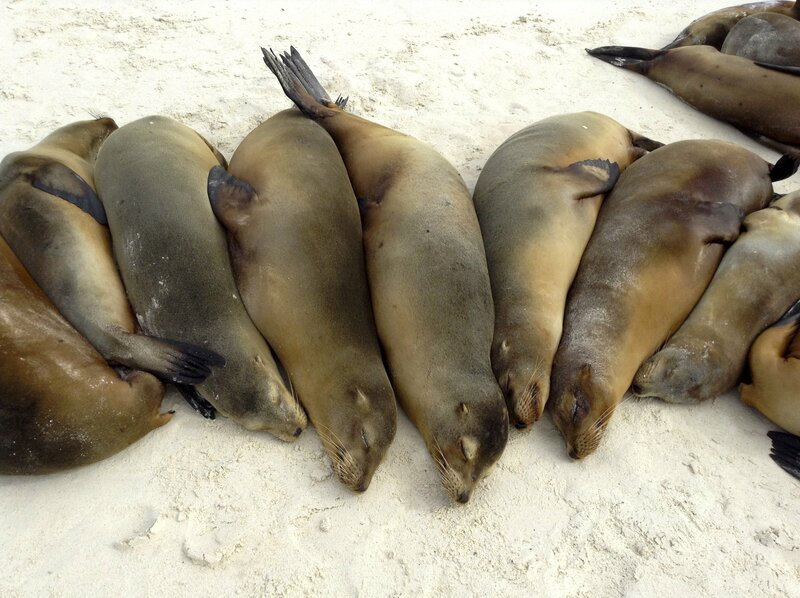 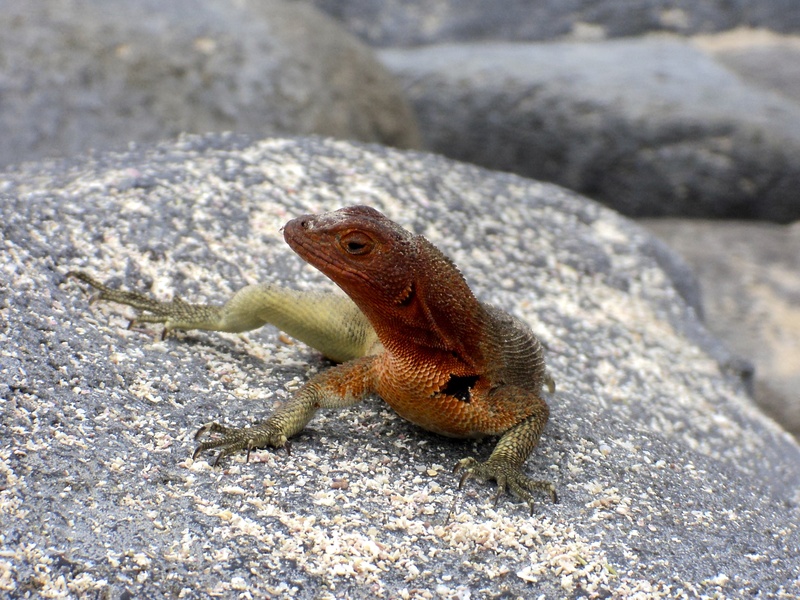 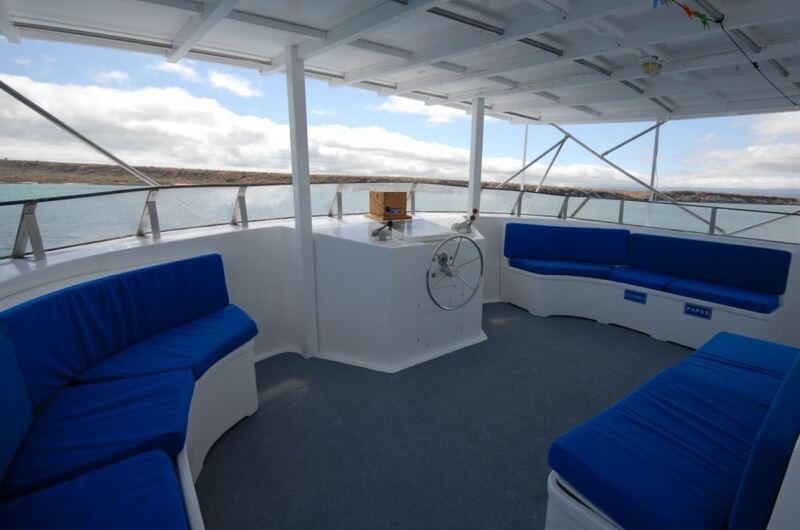 The extra costs are for the Galapagos Island Park Fee & Transit Card, plus all beverage and bar expenses and crew gratuity. 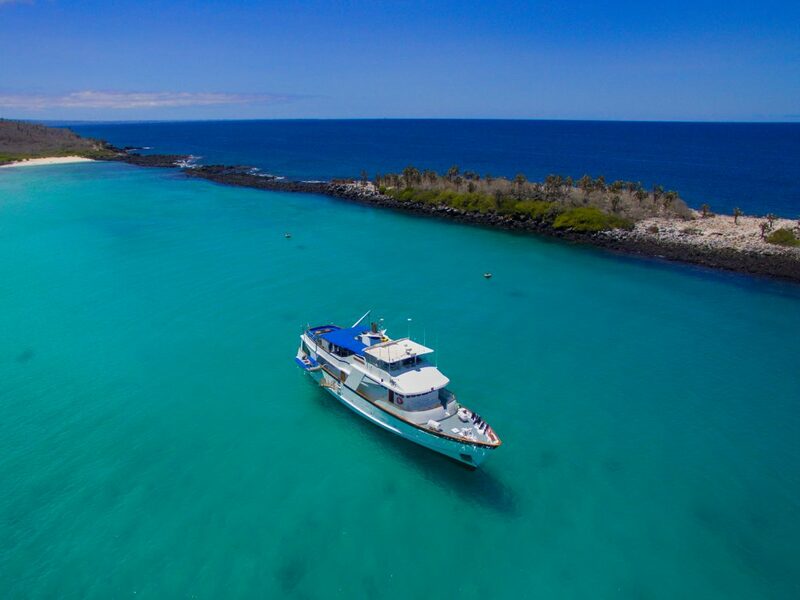 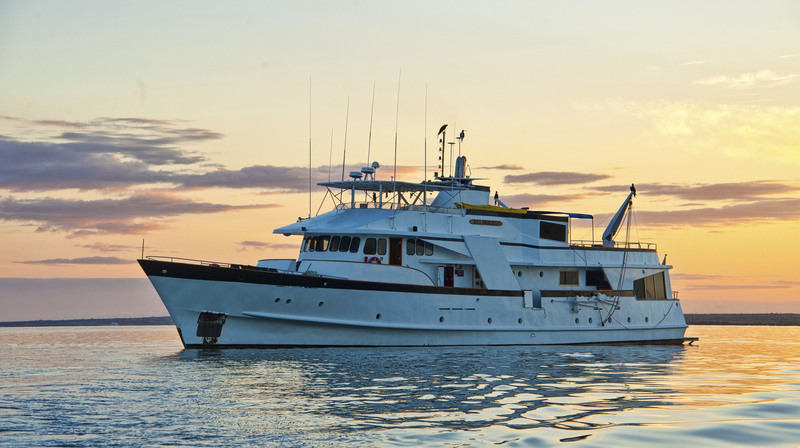 The Galapagos charter yacht BELUGA offers some wonderful itineraries of varying lengths to suit any group wanting to explore one of the most amazing natural wonders in the world. 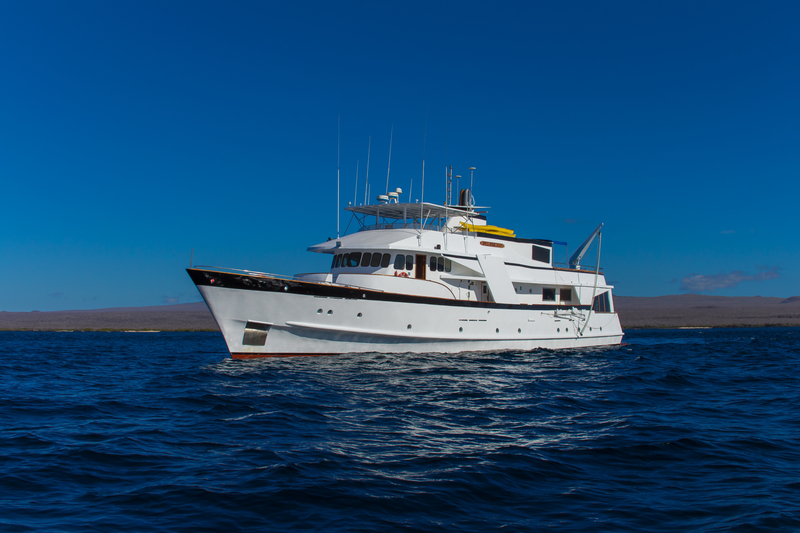 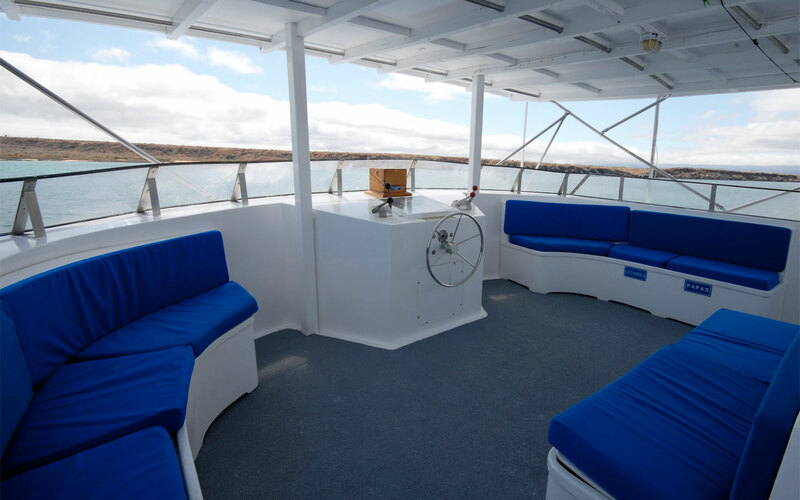 BELUGA is a nicely appointed, comfortable yacht, ideal for anyone wishing to have a high quality experience exploring Galapagos. 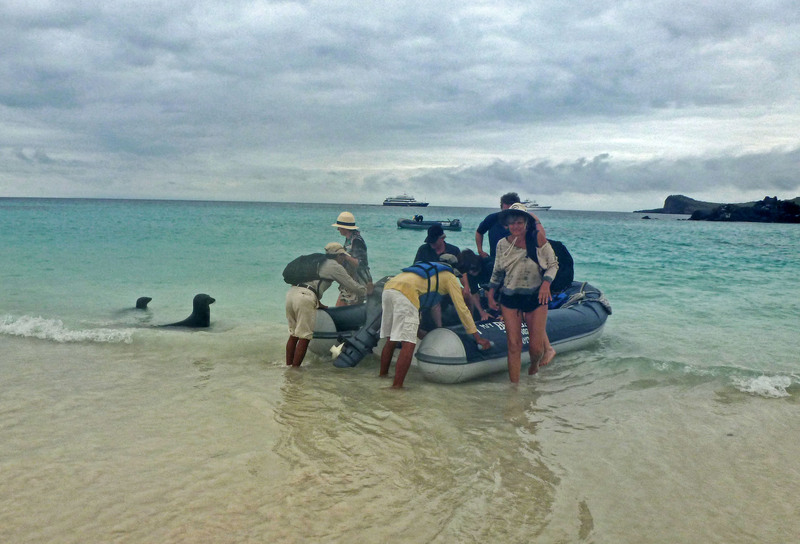 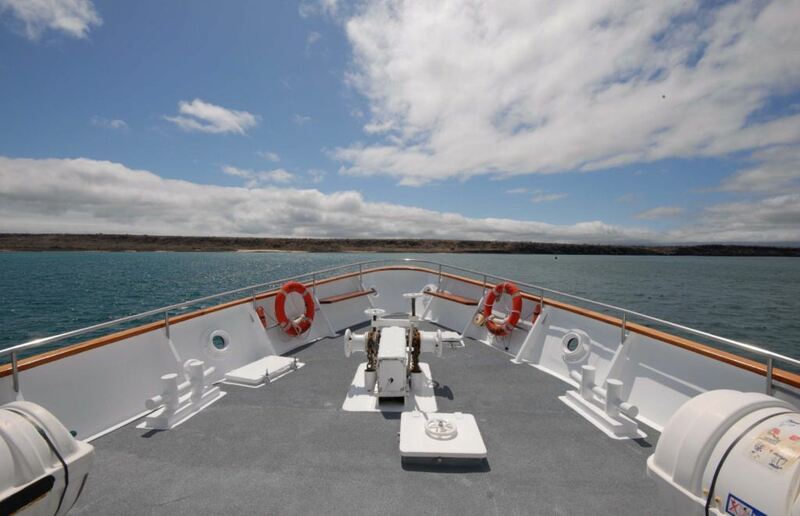 Her professional and experienced crew of seven looks forward to welcoming you onboard for a Galapagos charter experience you will remember for a lifetime. 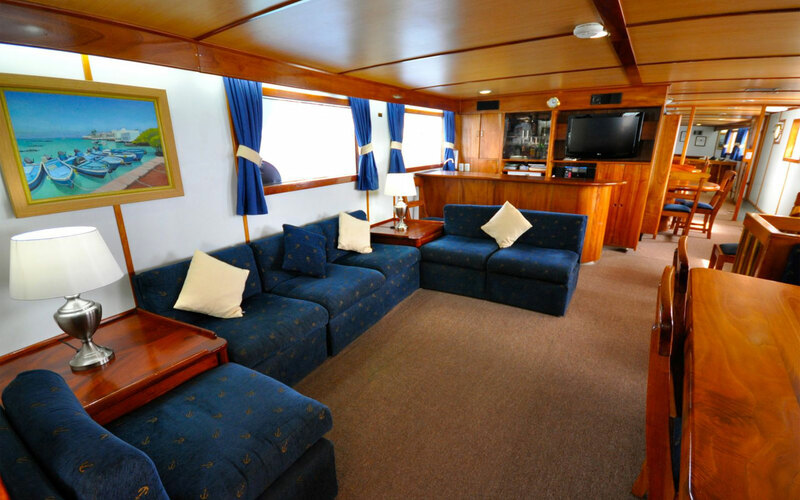 BELGUA is fully air-conditioned and is able to accommodate up to 16 charter guests in 8 cabins, all with private ensuite facilities.